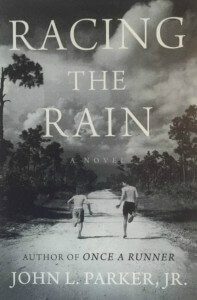 Racing the Rain: A Novel by John L Parker (read on my Kindle) is the prequel to one of my all-time favorite books, Once a Runner, the fictional story of a runner named Quenton Cassidy. (It also has a sequal named Again to Carthage.) 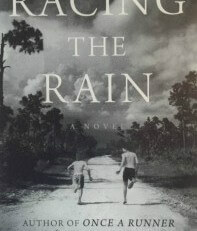 While the original story follows Cassidy’s collegiate career, the latest novel follows his grade school days. This book especially struck home because a lot of it focuses on the main character’s pre-running obsession with basketball, which was also very true for me. The author, Parker, gets it all right once again–he definitely knows how to write about a runner. The nostalgia of grade school racing is spot on, but the story weaves a few other interesting stories into it as well. I appreciated how a few names and places from the other novels were woven in as well, but I won’t give any spoilers. I hadn’t heard about this book at all and I just happened to come across it while perusing Amazon. I was so glad I found it, as I definitely enjoyed it. A superb trilogy!